‘Ello ‘ello ‘ello there! Another Wednesday means another Open Forum from me! You’re welcome, planet Earth. So I was debating on what game to get to tide me over the Christmas holidays while I’m back home for two weeks. It was between Persona 5, Horizon: Zero Dawn, FFXV and Dragons Dogma. 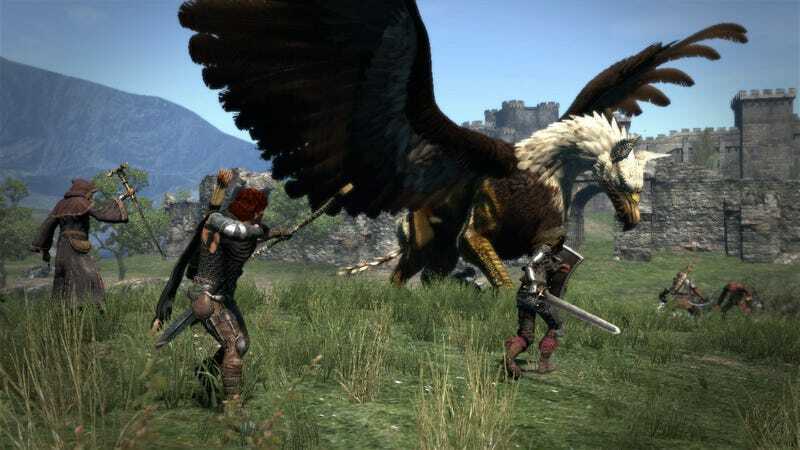 I went with Dragons Dogma and I’m enjoying it! It’s pretty hard and I may have messed up my classes a bit but it’s pretty good. Definitely feels like a Japanese developers attempt at a Western RPG. I wanted Dragons Dogma for a while, because I missed it on the PS3. Well, I bought it and on the day it arrived my PS3 kicked the bucket. I’m definitely glad I went back to play this before any of those other games, because if I didn’t I’d probably never get back to it. What a potentially missed opportunity! P.S Any tips for Dragons Dogma are appreciated! So with that, here’s some topics for today! • What games have you missed due to broken consoles or any other similar situation? Did you eventually play them? • Has there been any recent missed opportunities in your life? • If you could play any game for the first time again, what would it be? • If you could be doing anything else right now, what would it be? • Favourite video game pet?